Our floor model slab saw accommodates rough samples up to 11" high. 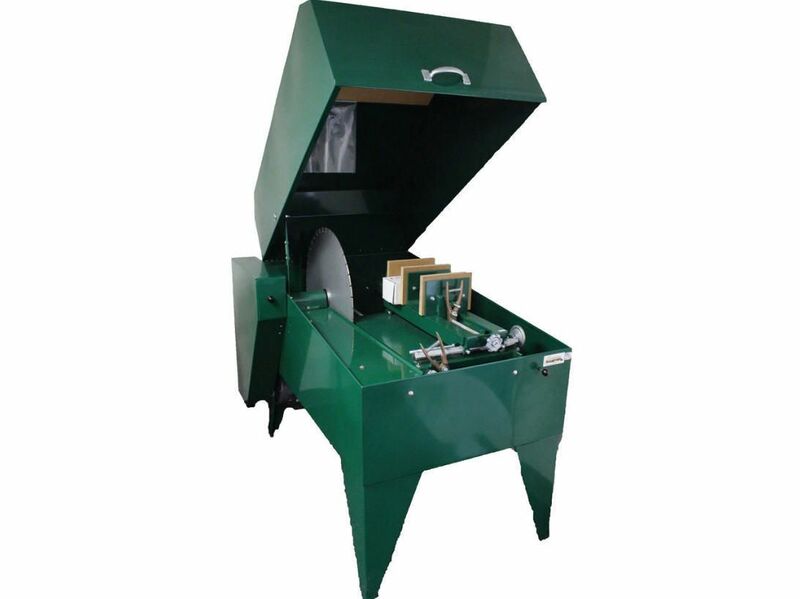 Features an auto-feed mechanism that feeds samples to the blade and shuts off when finished, leaving you free to attend to other projects. It also ensures that samples are fed smoothly, cutting down on blade wear and tear. 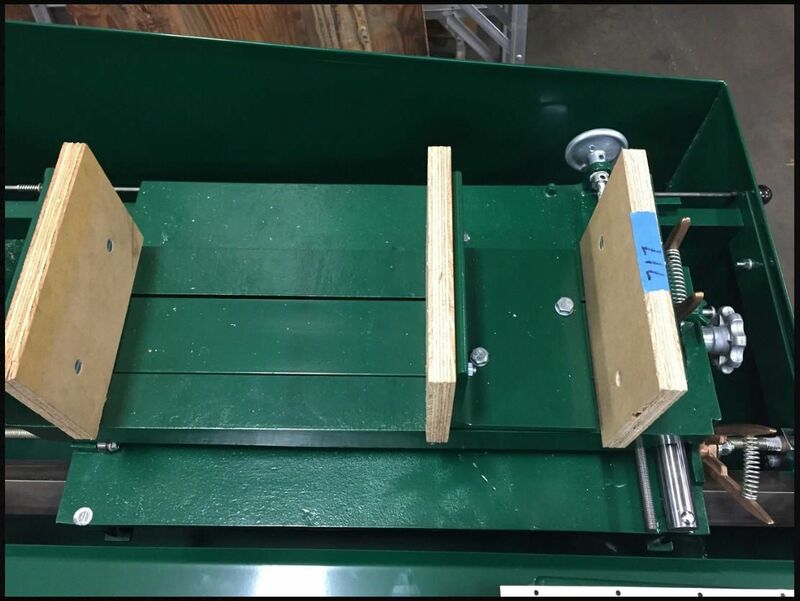 Unit has a hinged cover, keeping all cutting parts completely enclosed while the saw is in operation; the plexiglas observation window in the hood lets you keep track of the action. 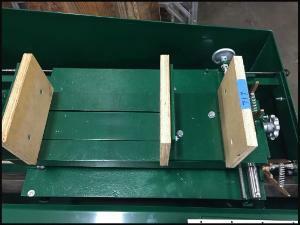 Saw comes assembled except for the base, and includes a diamond blade, motor, power feed, belts, and pulleys. The welded steel chassis accommodates oil-based coolant, sold separately. 110 VAC, 60 Hz with a 8' long, 3-wire cord. Variable rpm. Note: Due to the large amount of coolant required for the 24" slab saw, you may choose to obtain oil-based lubricant from a local supplier. Call us for more information regarding suitable lubricant.